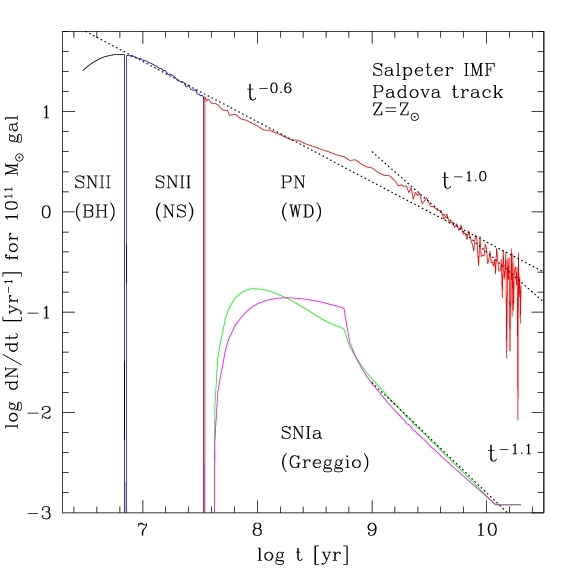 Fig.1: Event rate of SNII, SNIa, and PN. 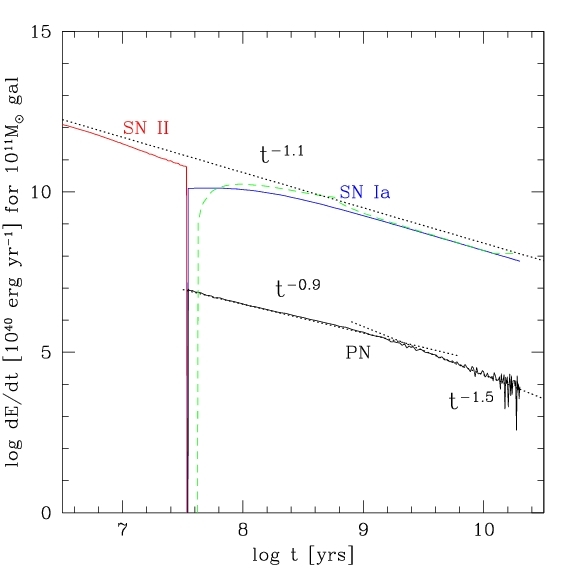 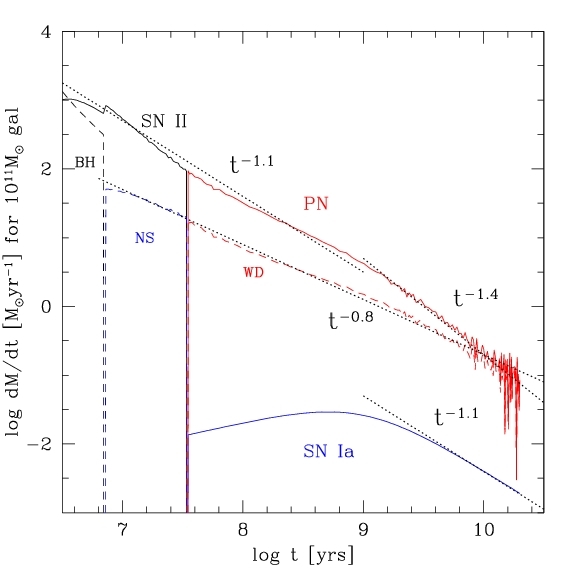 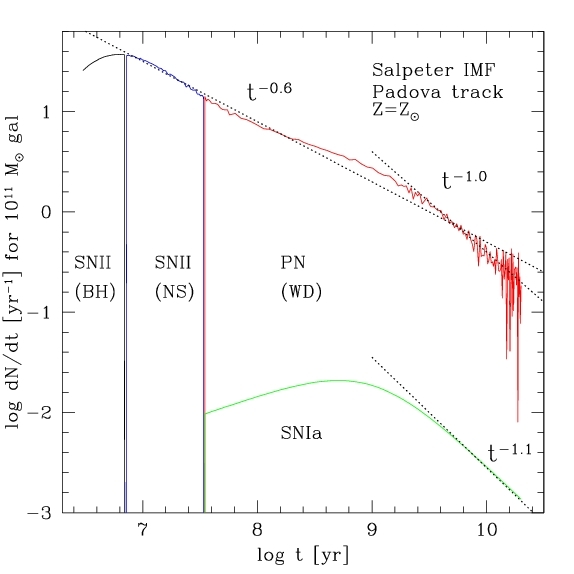 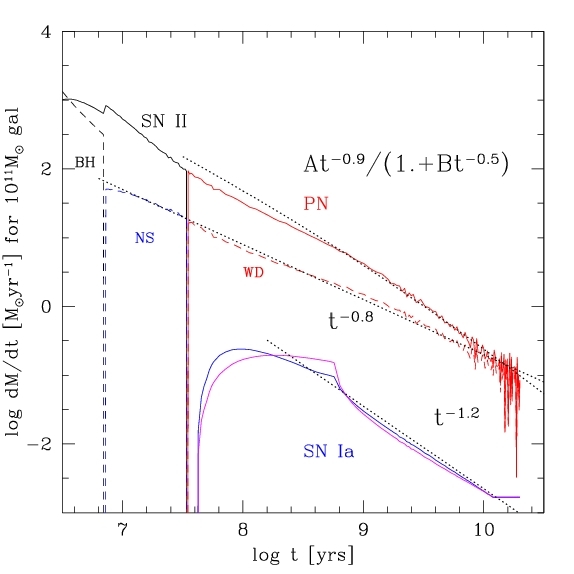 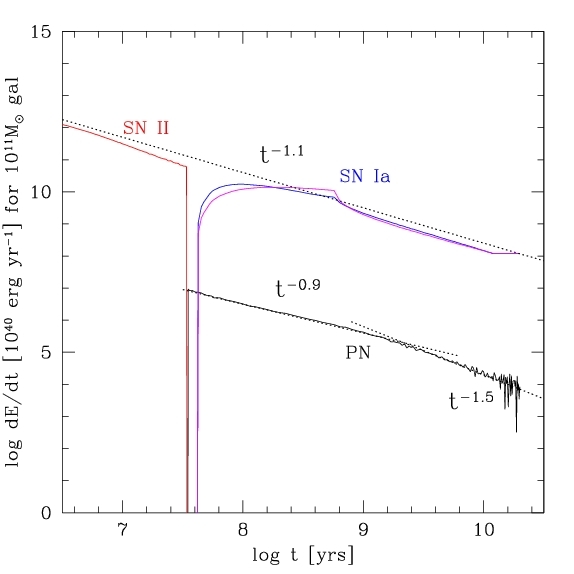 Fig.2: Solid lines: mass ejection rate by SNII, SN Ia, and PN. 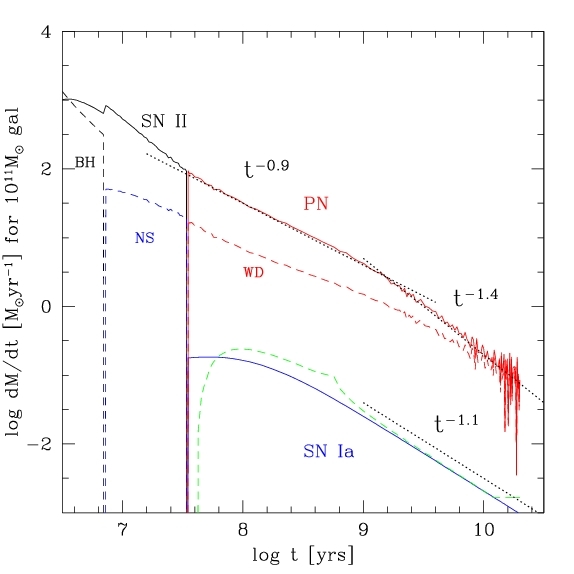 Dashed lines: mass generation rate of BH, NS, WD. Fig.3: Energy deposition rate by SNII (=e_sn * dMstar * c^2 where e_sn=3e-6 is assumed), SNIa (10^51 erg/event), and PN (wind velocity 10 km/s).